As most of you already know, I live in NW Florida right along the Panhandle. The actual city I live in is Mary Esther, which is located right beside Fort Walton Beach. Most people who have vacationed along the gulf or panhandle have probably heard of Fort Walton and Destin, but never Mary Esther. I am less than 5 minutes from the Fort Walton Beaches and about 10 minutes from Destin. Basically I’m in a great spot! I live in the smaller, less crowded town, but have the luxury of having those two gorgeous towns and beaches right around the corner from us. When I originally started this blog, I wanted to write about the things that I love about Florida life and Florida in general. And I have done posts like this before but I just haven’t written any in quite some time now. So I decided I would share with you all some details that might just help you plan out your next trip (Or very first trip!) to Destin. 1. DO NOT PAY to take one of the snorkeling boats out to the jetties. But rather email me at (thesaltlifewife@gmail.com) and I can tell you how to drive directly to them without paying $20 or more per person for the trip. Now, I will warn you that it is a slightly long walk in the hot sun while walking on sand, but is well worth it in the end. Just make sure to either get a beach cart to pull your stuff in, or pack your beach gear lightly. Most moderately fit people can make the walk with no problem, but I would definitely not recommend bringing Grandma or Grandpa along to this spot. 2. Pack a picnic and plenty of drinks/fluids because there is no where to purchase these items at the jetties. And keep in mind that swimming and being in the sun can dehydrate you very quickly, so you will want to pack extra drinks than you normally would to say a pic nic in a local park. 3. Go early in the morning to avoid overcrowding and no parking situations. Every time we have went before 10am, we always find parking (which is just along a public street, by the way) but the few times we have went after 10am, we have had to park very far up the road, which just adds to the already long walk. 4. Take some frozen Peas or Animal Crackers with you to feed the fish! They love either of them and some of them will even eat right out of your hand. It might scare little ones a little bit, like it did my friends 3 year old daughter last weekend. But the older kids and teens really enjoy feeding them, I know I do! 5. Buy a disposable underwater camera or bring your Go Pro! You will be able to get some amazing photos or footage from this spot. I recommend going over right along the rocks, as a lot of the fish tend to just “hang out” in between the rocks and you will catch whole schools of them leaving from in between the rocks if you stay there awhile. This method will not disappoint and you can easily access the rocks closer to shore that are in just 3-4 feet of water, and they will be alot safer for novice and beginners alike. 6. If you are new to snorkeling or have never snorkeled before, a quick trip to any local dive shop will be very beneficial to you. The local operators of the stores will be happy to give you some quick tips and help you pick out the right style/size mask and gear that you will need for this trip. I apologize for the crappy IPhone pictures, it’s just so much easier to snap some with my phone rather than dragging my heavy Cannon out here. The little girl pictured above is miss Paislee, my friend Serena’s daughter. Isn’t this spot totally gorgeous! The only complaints I have about it would be the long, hot walk to get to it and all of the boats that dock here. I understand that they just want to have fun too, but sometimes there are so many boats in the shallows that your having to go around them and step over their ropes that are tethered to their anchors just to get to a free spot to swim and snorkel. But that is just another good reason to GO EARLY! 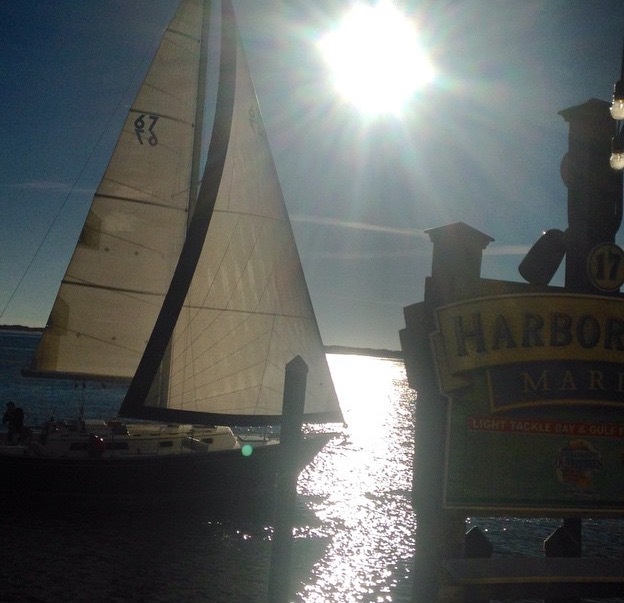 One place you will want to go while in Destin is The HarborWalk Village. You can’t miss this place, as it is where all the action is during the evenings! 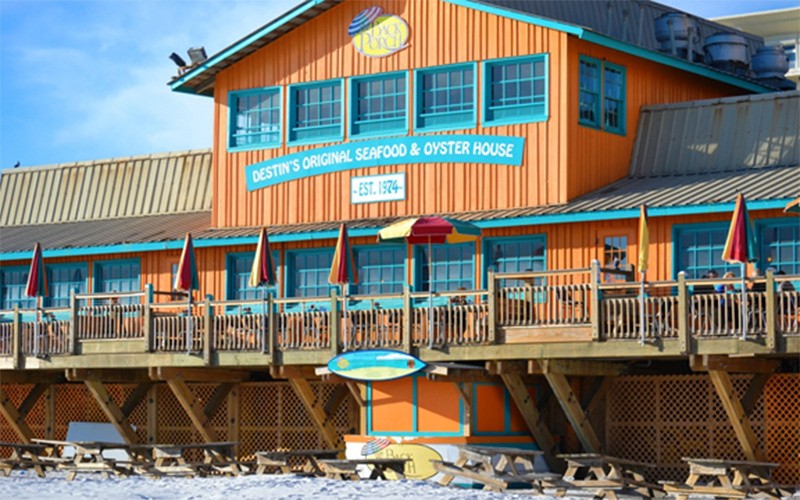 It is a shopping and dining complex that is spread out along the Destin Marina. There is plenty of shopping to do with everything from Jewelry and clothing, to big name brand stores like the popular fishing brand Pelagic. There is a Sunglass world, Cotton Candy store, Kites store and even a Starbucks to get your caffeine fix. Then there is also plenty of fun activities onsite for the kiddos as well. There are Hamster Balls, a rock climbing wall and zip line, and a mini Mining station where they can mine for gemstones. 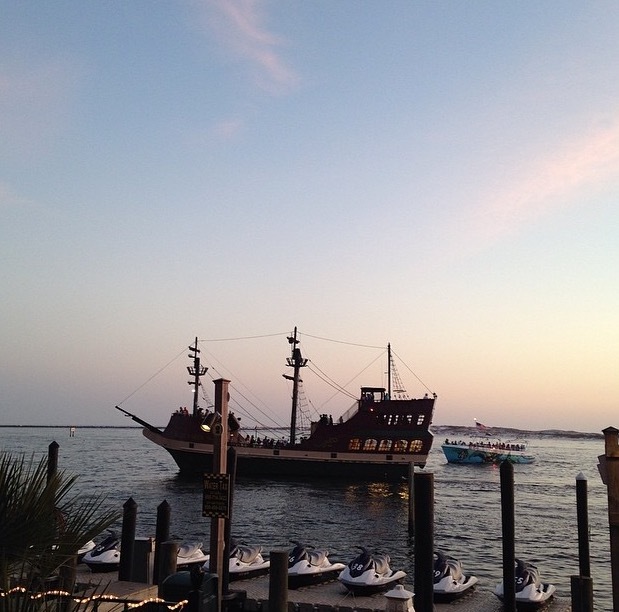 One of my favorite things there that is fun for the whole family is to take the PIRATE CRUISE! Trust me when I say that this is a lot of fun for the grown ups too. There is an open bar inside the air conditioned cabin. Need I say more? Who wouldn’t want to party on a PIRATE SHIP???? If your hubby or the man in your life wants to get his “Fish On” then there is no shortage of local Fishing charters onsite as well. Some of these local captains have been chartering trips longer than I have even been alive. So you’ll be in great hands with very knowledgeable captains and crews. You can find all types of charters to go on here from 4 hour to whole day, early morning outings to evening trips. And you can also pick the specific type of fishing you want to do as well. I will add a few links below to some of the more popular local charters just in case you want to check them out while planning your trip, (because I know you want to visit!). 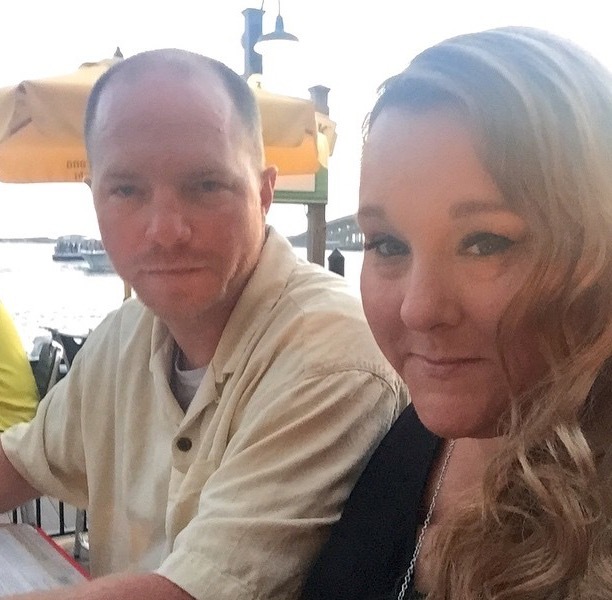 Harborwalk Village is one of me and the hubby’s favorite spots to go eat dinner at. There are several different restaurants there that cover a wide variety of food. One of our faves is Margaritaville. And I’m not even going to lie, it’s not the food there that keeps us coming back, but the view. That view and the frozen margaritas are a MUST! My hubby is pictured above, and this was our view! 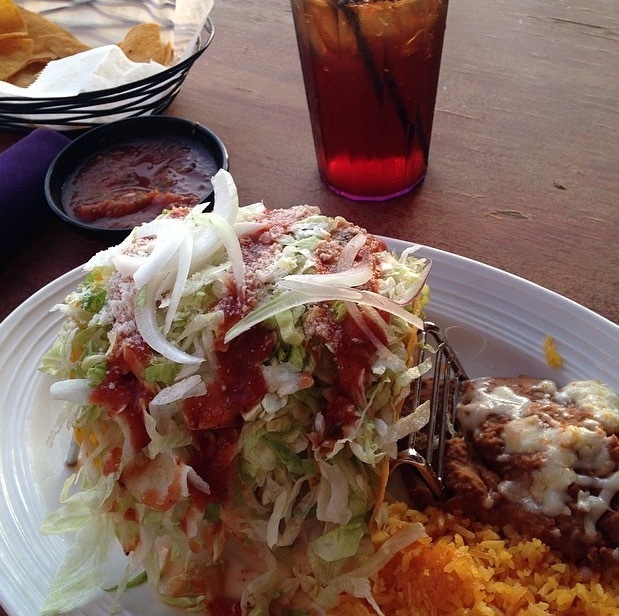 Another one of our Harborwalk faves is the Crab Island Cantina. It is located directly beside the bridge and you will have the most amazing view of all the boats passing by at Sunset here. In my opinion, you don’t want to miss this spot right before sunset. They have great food and a great atmosphere as well. But don’t expect typical “cheap” Mexican restaurant type prices here. This is a prime tourist location so their prices are a little higher but that can pretty much be expected with most restaurants in this area anyways. The top picture was the view right from our table as it was getting dark, the food pic was my Chicken Tacos, (NOM!!!!) and then bottom pic is me and the hubs. A few more highlights about things to do at Harborwalk….. There is usually some sort of live music playing on the main stage there during Summer Months on the weekends, and also there are Mardi Gras parades and drink specials there every Tuesday during Summer. And one of my husbands favorite things to do here is to go walk along the marina as the boats are coming in for the evening with their daily catch to see what they caught. I don’t mind going to watch this but I hate when they start gutting the fish right there in front of you. I know my hubby is a Fisherman himself but I cannot stand the smell of fish and the sight of fish guts. I am hoping that one day I will get past this, but for now, UGHHHH! There are PLENTY of places to get some tasty adult beverages as well if your into getting liquored up like we are. 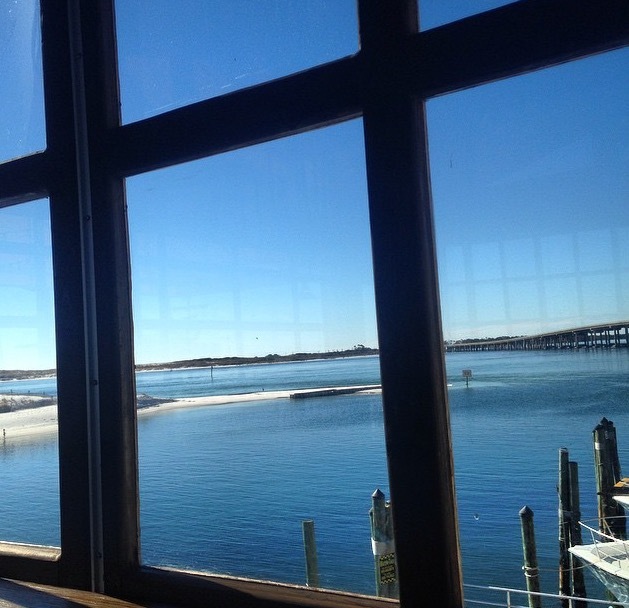 (HEE HEE) AJ’s is a great spot to eat and grab some yummy drinks while just enjoying the view of the water. And then in the evenings, it turns into quite the happening place. Their upper deck is a spot that the locals love as well as visitors. 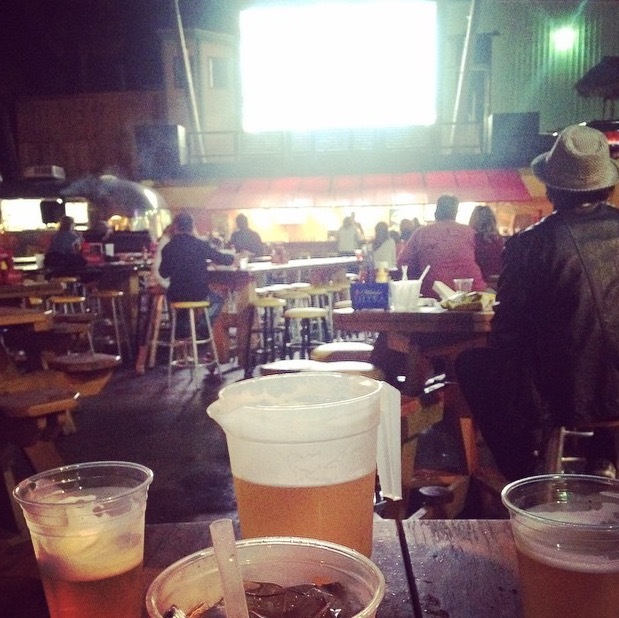 And I also personally love to hang out by the jumbo screen that you will find right outside of AJ’s. It is usually playing music videos or Football depending on what season you are visiting in. And a lot of times they will have live music right outside of AJ’s in this same area as well. We have had some really great times spending our Friday or Saturday evenings here. The Jumbo Screen and bar area. 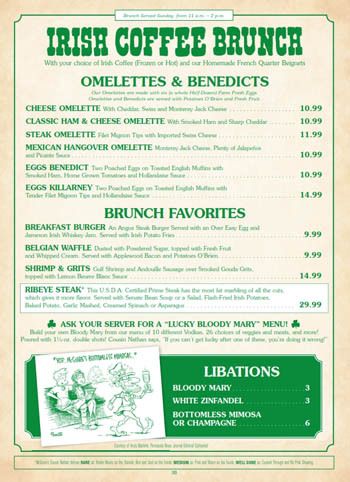 Did you notice that they have bottomless Mimosas!!!!!! 2. The Back Porch- This place has an amazing view right along the sugar white sands overlooking the gulf. 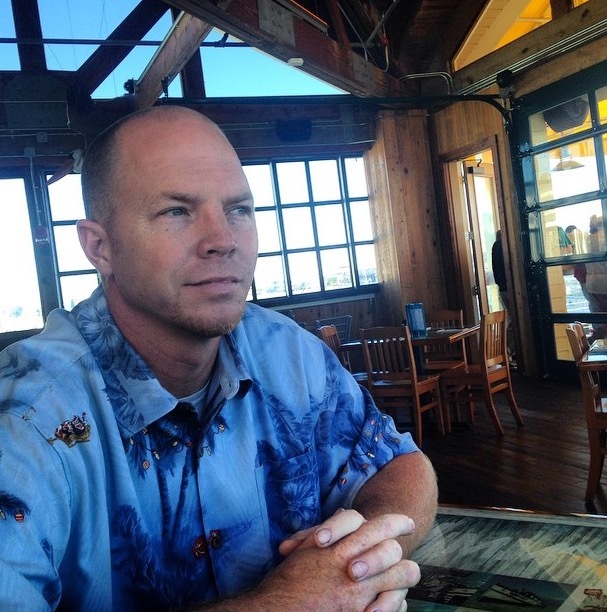 It has a fun, laid back “beachy feel” to it, which I love, And their food is just as amazing. One of our favorites is the Firecracker Shrimp as an appetizer, or the Smoked Tuna Dip which is the hubby’s fave. Their Crab stuffed Mahi Mahi is to die for or their Chicken Sunset is another great dish. Your whole family will find something to eat from their menu. They have a Burger and some Chicken options for those who don’t enjoy seafood, so no need to worry! 3. Landshark’s Pizza- This place looks like a hole in the wall, but it is nothing short of a fantastic place for a pie! They also have some great wings and Philly Cheese Steak sandwiches as well. Their prices are fair and the food is great. And their staff has always been great every time we have been there. 4. Another Broken Egg Cafe- OMG, PLEASE eat here if your in Destin. I have been told that people have seen these in other states but I have never seen these anywhere but here in the panhandle. Their Shrimp and Grits are amazing, but their Potato Creations are my personal fave. It’s basically some fried potatoes with whatever you want in them (Ex: Ham, Cheese, Onions, Shrimp, etc.). 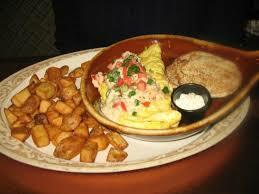 But their omelets are also a fave. It’s always hard to make a choice when we eat here because it is all so good! Okay have I made you want to visit Destin yet? I sure hope so. I know that a lot of you have already visited here before, but if you haven’t, I PROMISE you won’t be disappointed if you take a trip there. Plus, you could always come have dinner with me! SCORE!!!!!! 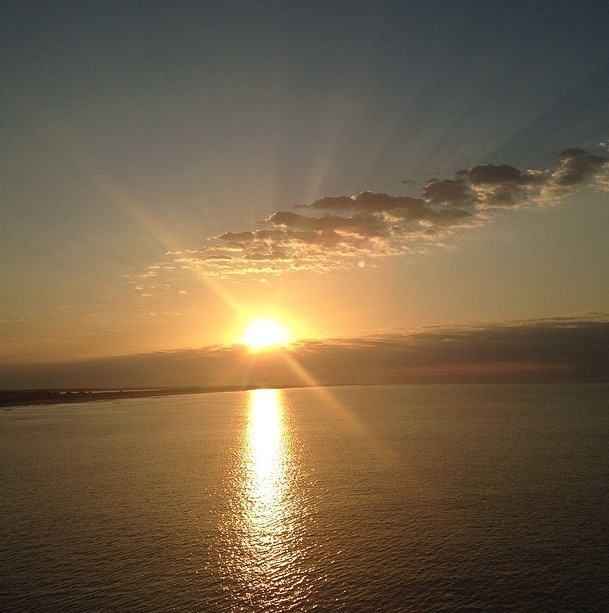 Let me know if you have ever visited Destin before and if so, what are some of your favorite memories from your trip? I would love to hear about it. Also, let me know what you think of this type of post. Is it something that you don’t mind me sharing every now and then?